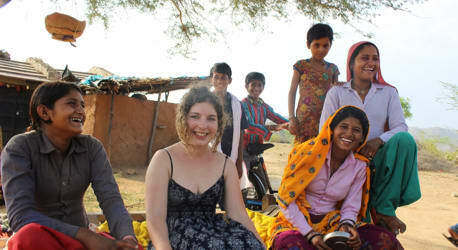 Do some social work in India! How does volunteering work in Asia? Volunteering while traveling is perfect for those that want to help out in NGOs, social projects or in the local community, and get to know the place in a less touristic way. Teaching kids, helping in ecological projects, or caring for animals are a few options for a volunteer trip in Asia. Accommodation is provided by the project in exchange for a few hours of work in the combined effort. Asia is a very big continent with many options to travel volunteering with social projects. Cambodia, India, Indonesia, Nepal, or Vietnam are some countries that offer opportunities like teaching English to natives, taking care of kids, or helping rescue animals. They are also destinations full of natural beauty and extensive cultural variety, making the opportunity of volunteering abroad a huge learning experience.